You can get a FREE ride to Sample the Sierra without worrying about parking or traffic by taking Chariot, the new microtransit service operating in the South Shore! Chariot announced that it will add a stop directly at Bijou Community Park during Sample the Sierra on Sept. 15. 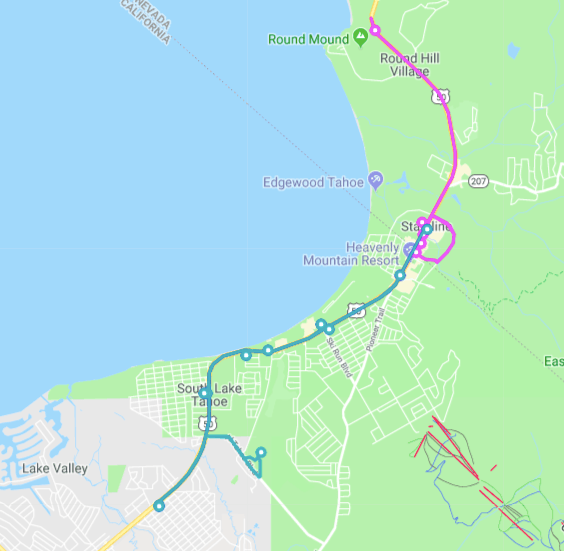 The stop will be added to Chariot’s Blue Line route, which operates between the casino corridor and Sierra Boulevard. Chariot is a mix between ride-sharing programs like Uber and traditional public transportation. To ride Chariot to Sample the Sierra, download the app in advance at chariot.com/download. Then select your route, pick up point and drop off point (Bijou Community Park). The Chariot shuttle to Sample the Sierra will be free on Saturday! All other Chariot rides are just $2. Chariot is made possible by Keep Tahoe Blue, a Sample the Sierra Transportation Sponsor.